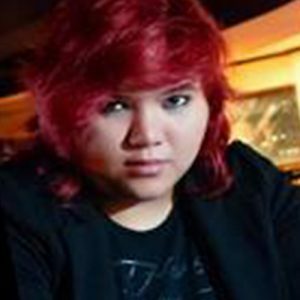 Panky became a familiar face when she became a scholar of ABS-CBN’s first season of Pinoy Dream Academy and earned the reputation of being a spunky rebel with the voice that many found envious. During her stint in the reality show, with the vocal cords that could tear down a house and mesmerize an audience, she got the distinction of being the scholar with the most number of Star Scholar recognitions, and the scholar with the least number of nominations which was only one. Panky made it to the top four in the Grand Dream Night held at the Araneta Coliseum where she earned the monicker “Rock Goddess” and became a regular on ABS-CBN’s Sunday variety show “ASAP.” Former vocalist of the bands Version 4.0 and Fair Warning, Panky shows us the side of her we’ve never seen or heard before as the singer and kahon player of THE TWIST.